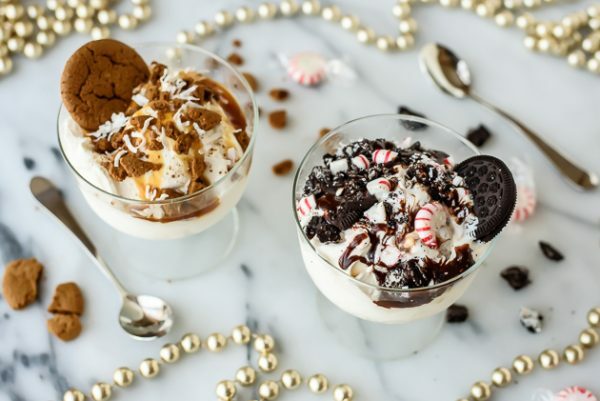 Now that the holidays are coming to a close, it’s time for a break from all the super rich foods and cocktails. It’s time to detox with some healthy recipes made with some of my favorite Superfoods for a fresh start to a healthy New Year! What’s all the fuss over Superfoods about? They help step up your immunity, boost energy, slow down aging, lift your spirits, improve circulation, help detox, improve sleep, and have healing benefits too. And they just make you feel better and healthier all around. Colorful fruits and vegetables possess tons of vitamins and minerals – start ‘eating the rainbow’ and you’re off to a healthy start. The best way to get my fix of Superfoods is to make a big pot of veggie soup in the middle of winter, not only for it’s warming properties, but also because soup gives a big dose of healthy vegetables that boost the immune system, as well as detox and cleanse the body with healthy ingredients, antibacterial properties, vitamins and minerals. 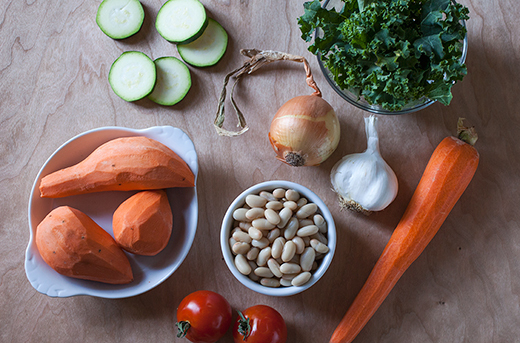 I’ve created a super healthy soup recipe that I made with my KitchenAid® 11-Cup Food Processor, that is so convenient to chop, grate and shred all those lovely veggies. Then I just threw them all in my 8-Quart Stainless Steel Stockpot (part of the KitchenAid® Stainless Steel 8-Piece Set that I just got!) 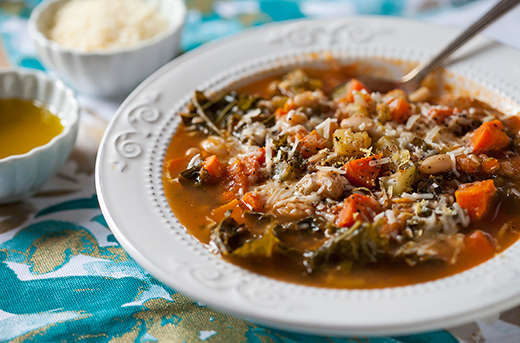 to make a delicious and heartwarming Vegetable and Bean Soup. The Stockpot is great because it heats up fast on the stovetop to sauté all the veggies and seasonings and it has etched measurement markings inside the pot that make it easy to measure all the liquids for the soup. My soup is full of onions, garlic and chicken stock, which all help build the immune system and keep the colds away. 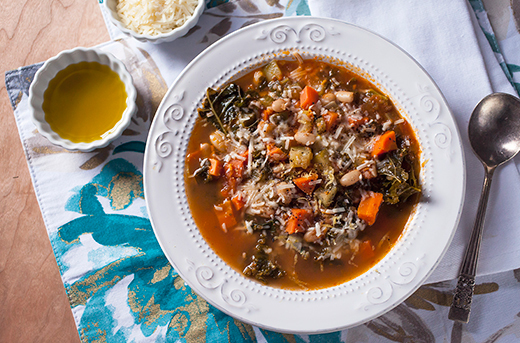 It also has tons of fresh veggies including zucchini, kale, carrots, celery, sweet potatoes, tomatoes, and northern white beans topped with grated Parmesan cheese, extra virgin olive oil and some crusty whole wheat bread for dipping. 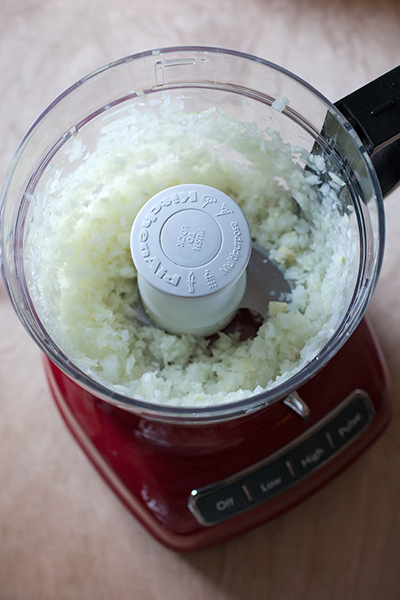 In the mixing bowl of your KitchenAid® 11-Cup Food Processor, add the onion and garlic cloves and process into a medium fine chop. 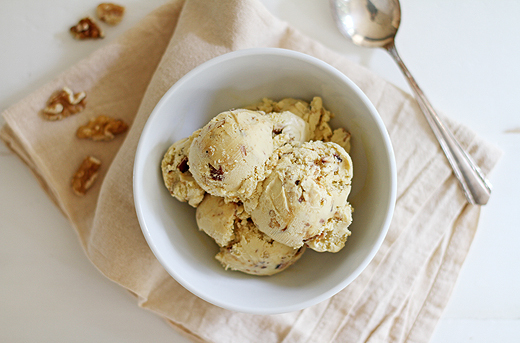 Set aside in a small mixing bowl. 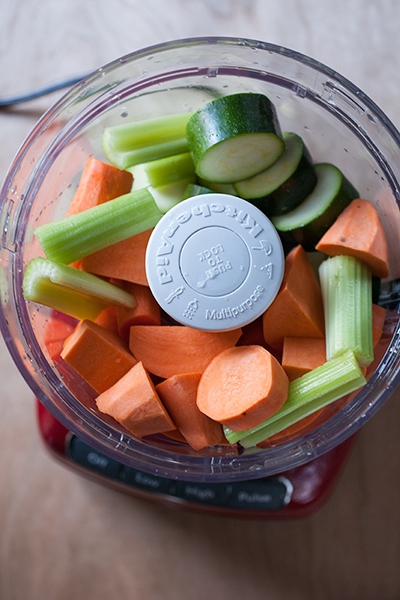 Add the zucchini, carrots, celery and sweet potatoes; process over medium speed until chopped into medium size pieces. 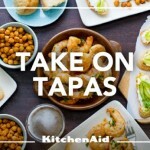 In a KitchenAid® 8-Quart Stockpot, heat the oil over medium heat. Add the onions, garlic and red pepper flakes and sauté for about 2-3 minutes until soft and translucent. Add the zucchini, carrots, celery and sweet potatoes, salt and pepper and sauté for another 5-7 minutes, stirring continuously and adding more olive oil as necessary. Pour in the crushed tomatoes and stock and bring to a boil. Reduce heat and simmer over medium heat for about 10 minutes, stirring often. Add the beans and kale and bring heat down to a simmer. 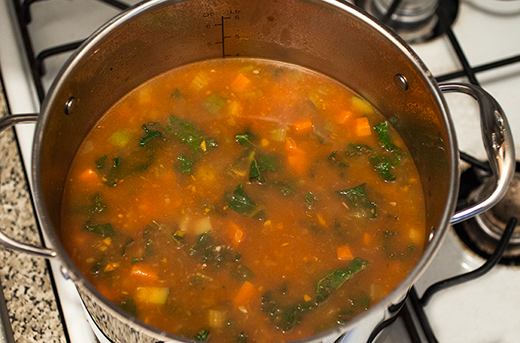 Simmer soup gently until kale is tender, about 15-20 minutes. Garnish the soup with some grated Parmesan cheese, lemon zest and with an additional drizzle of olive oil, if desired. Serve hot with crusty bread on the side for dipping. The new year is also a great time to cleanse and detox by eating lots of healthy Superfood fruits! 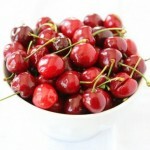 I love all berries that are full of antioxidants, with plenty of vitamins for a super boost in the morning. 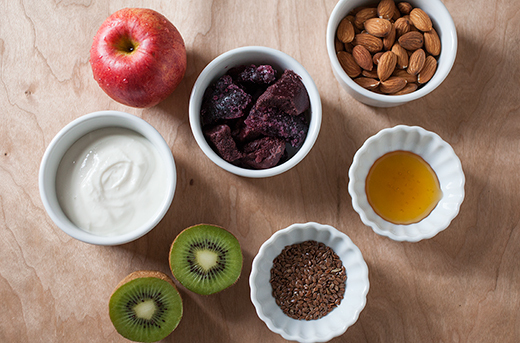 I’ve created a delicious Kiwi Apple Berry Blast Smoothie recipe made with kiwis, apples, vanilla greek yogurt, almond milk, blueberries, acai berry puree, honey, lemon zest, flax seed and raw almonds. I simply threw all the ingredients into my powerhouse KitchenAid® Diamond Blender with 5 different settings that does all the stirring, mixing, blending, pureeing and heavy lifting for me. 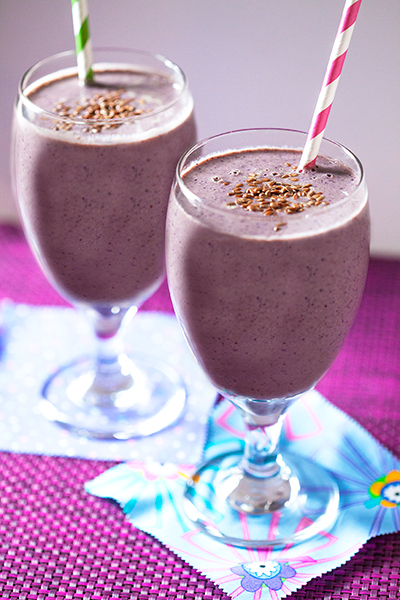 The smoothie makes a healthy breakfast or snack, giving a big boost of protein and energy from the yogurt, almond milk, flax seeds and almonds; antioxidants from the berries and honey; and betacarotene and vitamins E and C from the kiwi fruit and lemon zest. 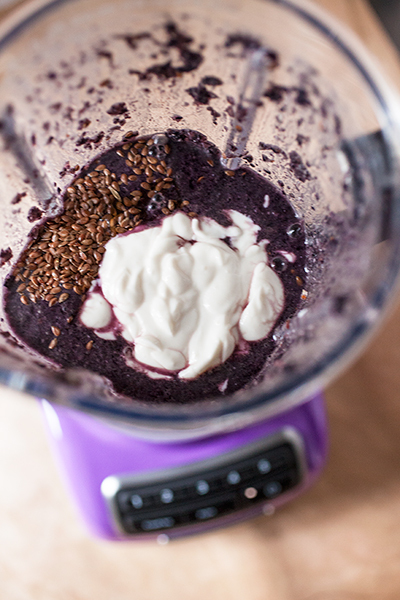 In the pitcher of your Diamond Blender, add the almond milk, frozen blueberries and Acai berry puree and mix on “stir” setting for about 1 minute until smooth. 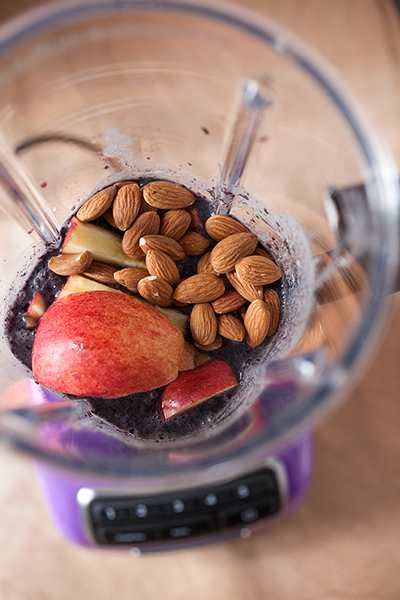 Place the almonds, kiwi and apples in the blender and mix on “puree” setting for about 30 seconds. Lastly, add the Greek yogurt, honey, lemon zest and flax seeds; processing on “liquefy” for about a minute until all ingredients are blended well. 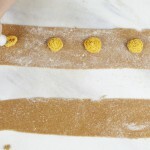 If the mixture becomes too thick, add a little water to thin it out a bit. Adjust sweetness by adding more honey if desired. 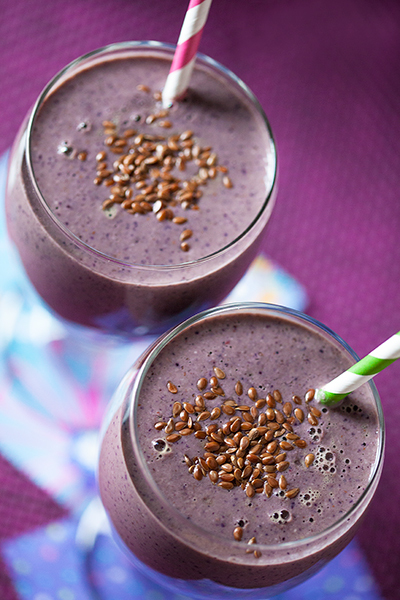 Pour into large glasses, garnish with additional flax seeds and serve immediately. In a KitchenAid® 8-Quart Stockpot, heat the oil over medium heat. Add the onions, garlic and red pepper flakes and sauté for about 2-3 minutes until soft and translucent. 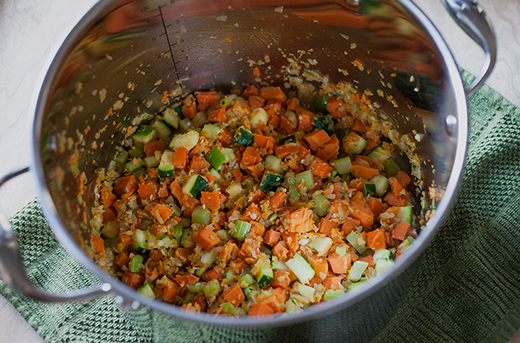 Add the zucchini, carrots, celery and sweet potatoes, salt and pepper and sauté for another 5-7 minutes, stirring continuously and adding more olive oil as necessary. Pour in the crushed tomatoes and stock and bring to a boil. Reduce heat and simmer over medium heat for about 10 minutes, stirring often. Add the beans and kale and bring heat down to a simmer. 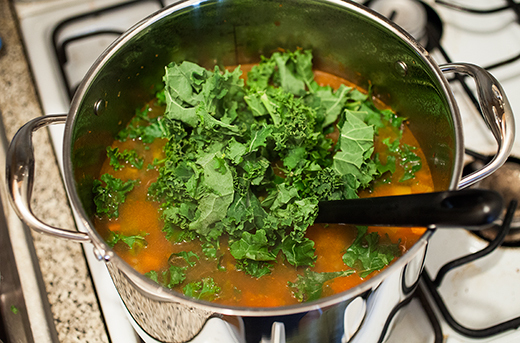 Simmer soup gently until kale is tender, for about 15-20 minutes. 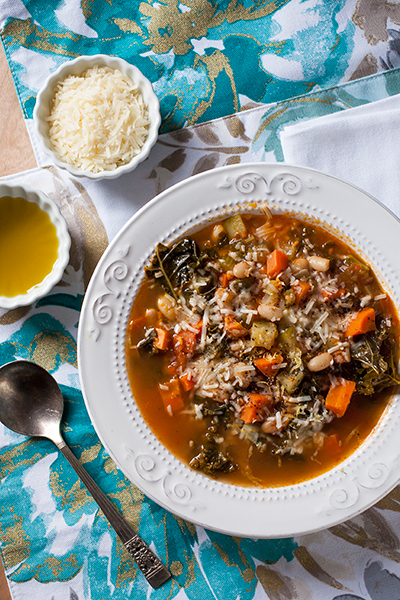 Garnish the soup with some grated Parmesan cheese and lemon zest with an additional drizzle of olive oil, if desired. Serve hot with crusty bread on the side for dipping. 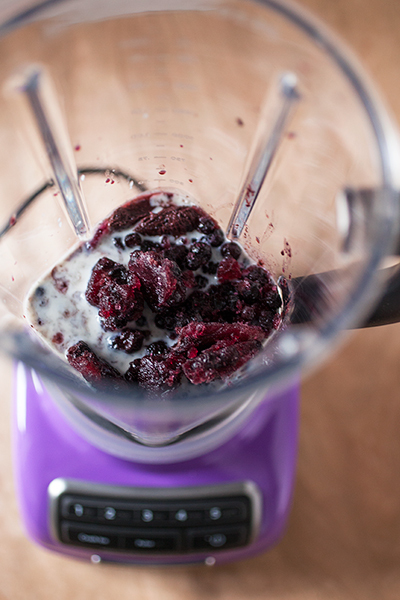 In the mixing bowl of your KitchenAid® Diamond Blender, add the almond milk, frozen blueberries and Acai berry puree and mix on “stir” setting for about 1 minute until smooth. Lastly, add the yogurt, honey, lemon zest and flax seeds; processing on “liquefy” for about a minute until all ingredients are blended well. If the mixture becomes too thick, add a little water to thin it out a bit. Adjust sweetness by adding more honey if desired. 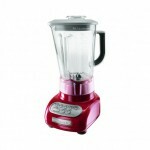 The KitchenAid® 5-Speed Blender has long been recognized as a workhorse among blenders, and this model is no exception. 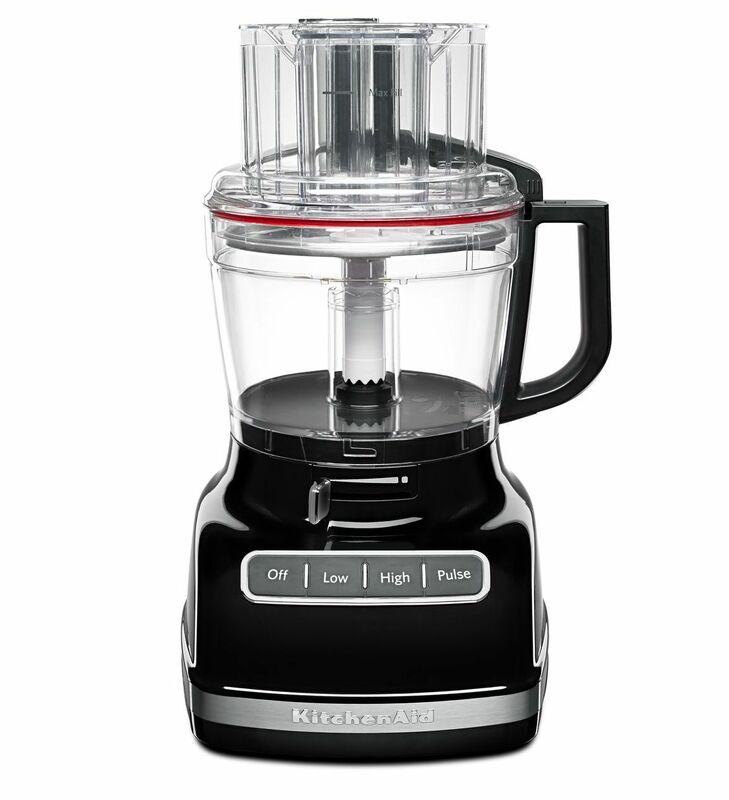 Five speeds plus PULSE mode let you stir, chop, mix, puree or liquify ingredients quickly and comprehensively, while an additional speed option expertly crushes ice. Choose among 15 color options to find the one that best suits your personality and kitchen design. The 11-cup capacity is ideal for many home cooking needs, allowing you to chop, mix, slice and shred with ease, offering multiple tools in one appliance.